Certified pre-owned car sales results in Canada are coming in, and several are reporting records. Nissan and Infiniti, for example, both reported their best-ever months for certified pre-owned sales. The Nissan brand increased its CPO sales from 687 in March 2018 to 1,344 this time around. Infiniti CPO sales were at 181 for the month, up from 123 from March 2018. In the first quarter, Nissan had 3,392 CPO sales, up from 1,914 sales a year ago. For Infiniti, Q1 sales were at 437, up from 252 a year ago. Volkswagen had its strongest month ever for certified, as well, moving 2,691 units in March. That beats year-ago figures of 1,686. First-quarter VW CPO sales reached 5,678 units, compared to 4,329 in Q1 2018. Next up, Mercedes-Benz reported 1,287 certified sales for March, up 0.4 percent year-over-year. Through three months, sales have reached 3,060 units, up 1.6 percent. The company said its CPO penetration is 79.7 percent so far this year. Hyundai sold 831 certified units in March, 469 of which were cars and 362 of which were trucks. “March was an outstanding month for H-Promise CPO sales at Hyundai Canada,” said Charles Plewes, who is the manager of CPO and remarketing national sales at Hyundai Auto Canada Corp.
“With 831 sales, (it) was a 38-percent increase over February and a 2-percent increase over the same time last year. Hyundai dealers are recognising the outstanding value inherent in the H-Promise program,” he said. Toyota sold 3,270 certified vehicles in March, compared to 3,104 CPO sales in March 2018. Its first-quarter sales have reached 8,038, up from 7,632 CPO sales in Q1 2018. Lexus had 461 CPO sales for March, compared to 425 certified sales a year earlier. Q1 sales reached 1,177, up from 1,034 sales. Porsche had 255 certified sales in March, up from 216 in March 2018. Through three months, sales have reached 573 units, compared to 528 a year ago. Subaru moved 340 certified vehicles in March, up 72 percent year-over-year. Through Q1, CPO sales are up 60 percent with 853 vehicles sold. 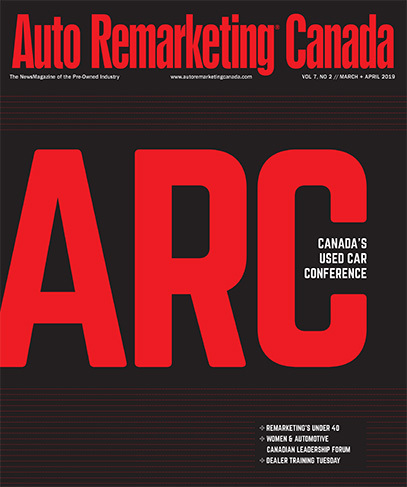 Stay tuned to Auto Remarketing Canada as more CPO results are reported.